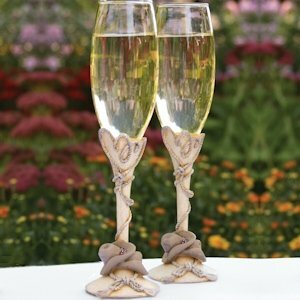 These country wedding toasting flutes feature a molded resin base that depict rope and cowboy hats for a little western flair. 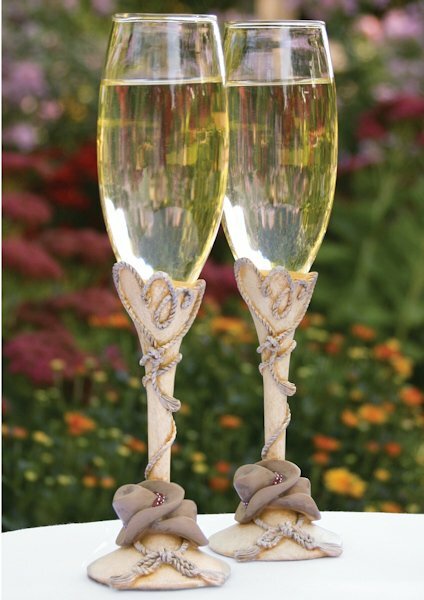 In fact, they are part of our Country Flair accessory collection so be sure to check out things like the cake serving set for a fully coordinated look on your wedding day. 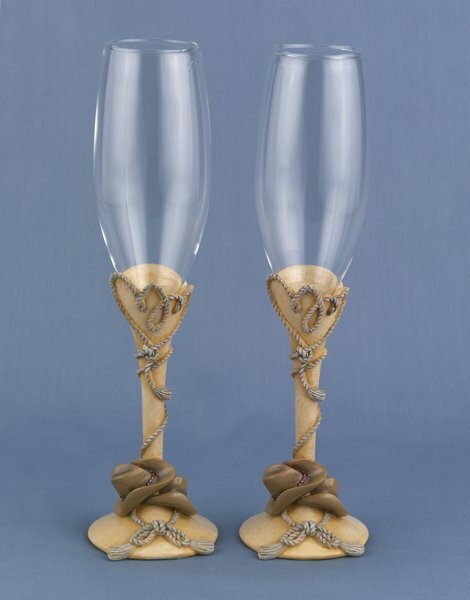 Pair of flutes stand 9.75" tall.